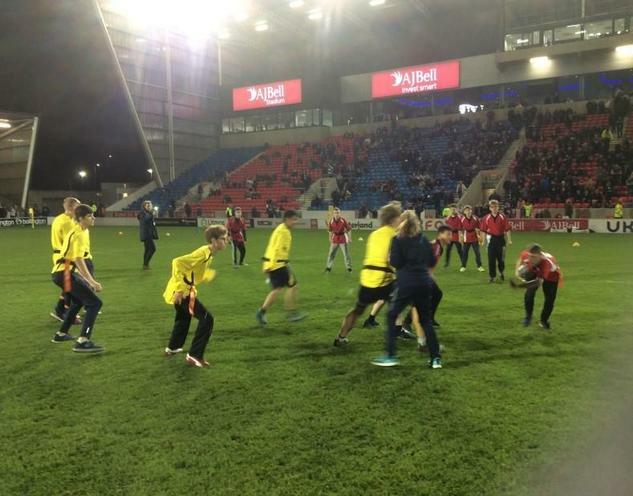 Sale Sharks Community Trust has been circling around Clare Mount this term attracted by the potential rugby talent in the school. Henry in Post-16 has recently joined their disability squad and is doing work experience with the club to help them unearth more talent in the North West and set up a mixed ability programme at Port Sunlight on a Thursday evening. For more information contact Vicky.irwin@salesharks.com. Vicky, the Inclusion Officer, has been delivering part of a 12 week coaching programme at Clare Mount working with our Year 10 sports leaders and P-16 pupils as well as running a lunchtime club for other years. 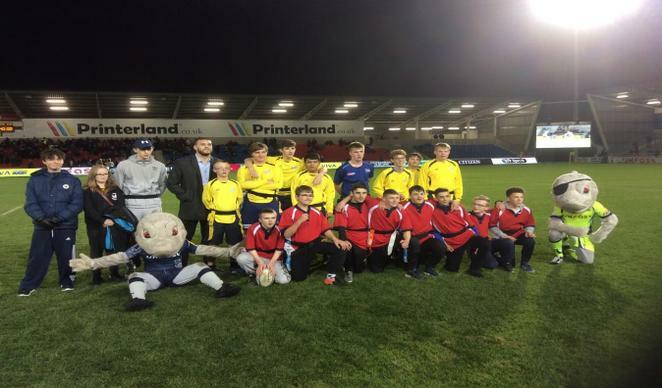 15 lucky pupils and staff had the opportunity to go to watch the Sale V Gloucester Game, with tickets donated by Printerland. 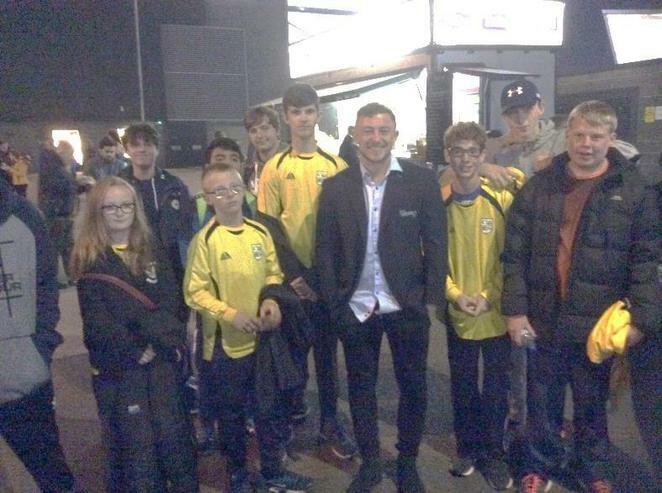 Pupils got to do a Q&A with Sale player Josh Charnley before the game, with Sale winning convincingly by 57-10. Just as impressive, our pupils (minus some of our regular team) played a game against the Oakwood Academy on the pitch at half time drawing an excellent contest 3 tries all. Well done to all those involved. On the 18th October we return to the AJ Bell Stadium for a coaching session with Sale Director of Rugby Steve Diamond which will be filmed by BT Sport.